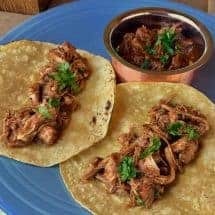 This pressure cooker Chicken Tinga recipe is a sweet, spicy and utterly delicious authentic Mexican dish. Use is as a filling for tacos, or eat it plain with some guacamole. It’s delicious either way! A tinga is basically a shredded chicken dish that has green and red tomatoes and chipotle chiles. You usually use the resultant chicken in tortillas as a grown-up version of a taco filling. Nice when you want something other than the typical Tex-Mex ground beef taco mix. 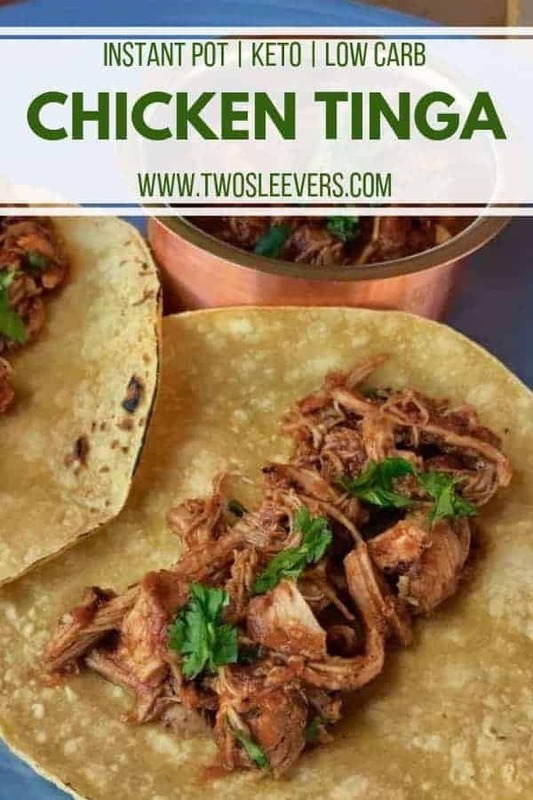 Another fantastic thing about this Chicken Tinga recipe is how quick and easy it is to make! 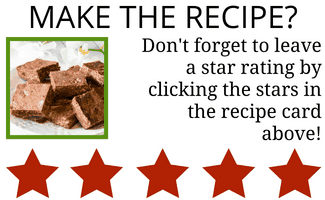 The Instant Pot makes this recipe so incredibly simple to make and it does a fantastic job of infusing the meat with tons of flavor. It’s so much better than your typical ground beef with taco seasoning tacos and it’s just as simple to make. Looking for more great taco filling recipes? 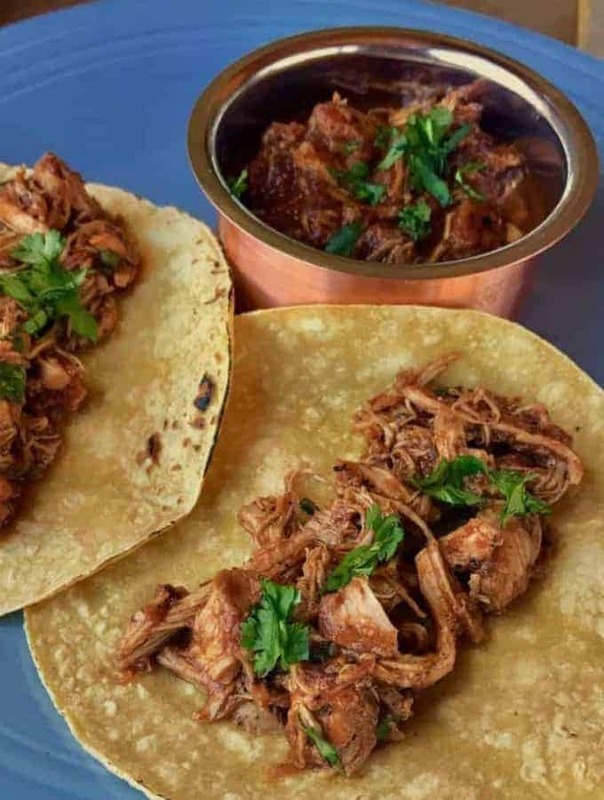 Check out my Mexican Pulled Pork recipe! 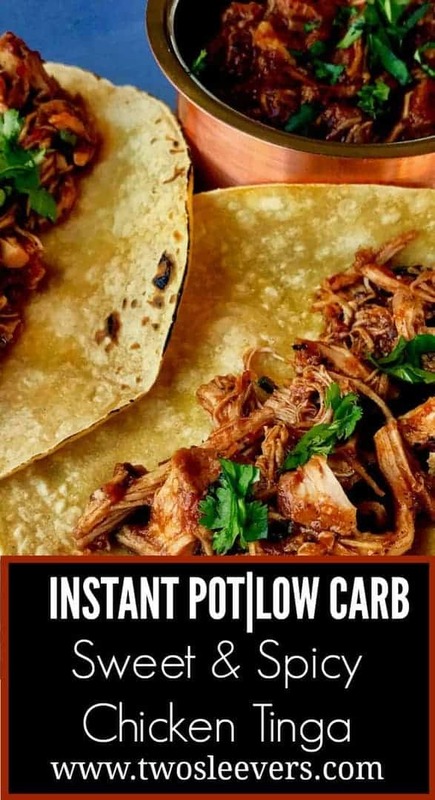 You can use the pulled pork to make tacos, burritos or just about anything else your heart desires! 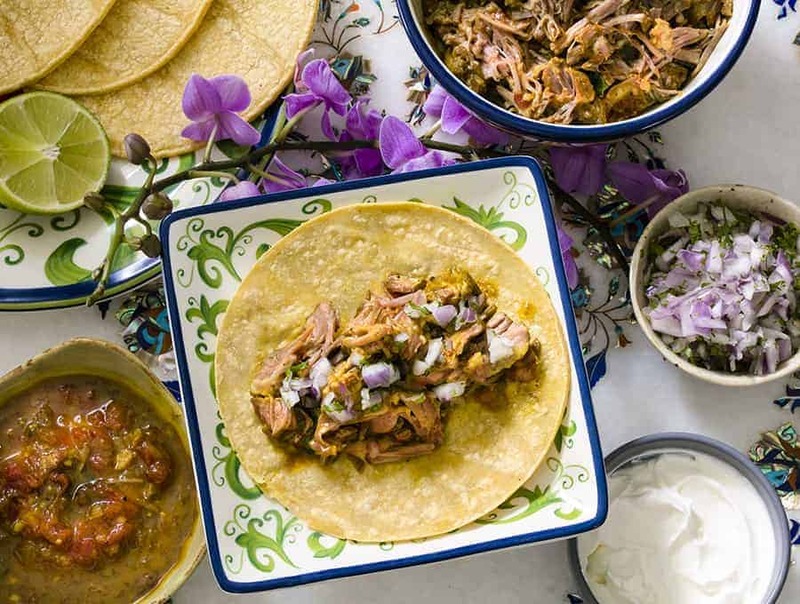 And if you’re looking for something a little more out out of the ordinary, check out my Indian Pulled Pork Tacos! They’re like nothing you’ve ever had before and they’re absolutely delicious. A tinga is typically made with vegetables that are broiled, but I wanted to skip that step. So what I did instead, was I charred the vegetables in the pot on sauté mode to get them slightly burned and smoky. I added a few different things like fish sauce and cider vinegar for flavor, and the end result was something that was slightly smoky, a little spicy, a little sweet, and just perfect on a corn tortilla. 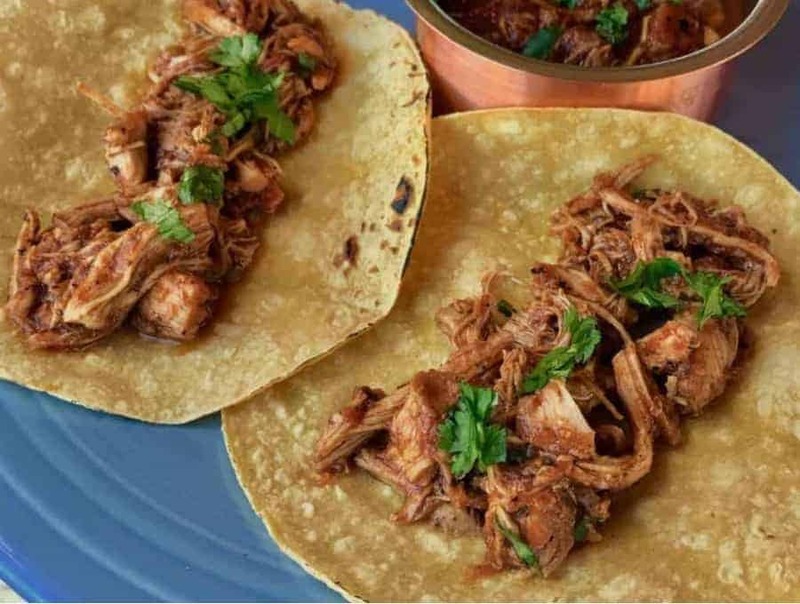 So next time you’re cooking up some tacos for taco Tuesday, give this Chicken Tinga recipe a try! It’s so very easy to make and the end result is so delicious you’ll never want to go back to making standard taco seasoning ground beef tacos again. Heat the Instant Pot on Sauté, and once it's hot, add oil. Put down tomatillo slices in a single layer on one side, add onions in as flat a layer as possible on the other, and nestle in the garlic cloves. You're going to let these char, so do not move these for a while. Once the thinner slices start to look a little burned, flip the vegetables. The bottom of your pot will have large black spots where the vegetables have burned, but this is a good thing. Once the vegetables seemed well charred, add in the tomatoes and broth and deglaze the pan, scraping up all the lovely brown bits. Add all the other ingredients except chicken and cook for 1-2 minutes to allow the spices to bloom. Add in chicken, close and seal the lid, and set your Instant Pot to 15 mins HP or use the Poultry setting. Let is release pressure naturally when done. Open and remove chicken pieces and shred. Using an immersion blender emulsify the sauce in the pot until the mixture is smooth. You may have to tilt the pot to get all the sauce to one side. Turn the pot on sauté and start to thicken the sauce for 10 minutes. You want a thick sauce coating the chicken so it won't drip out thinly as it is added to the tortilla. Once it's thickened a bit, add in the chicken and heat through. 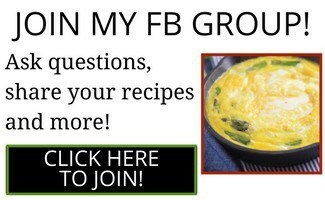 Serve with corn tortillas as a taco filling, or over rice or cauliflower rice for a low-carb option. 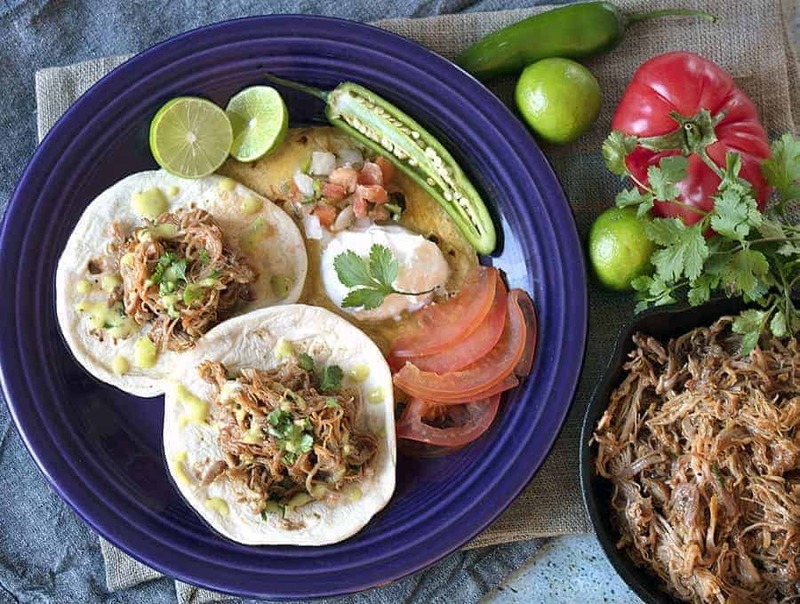 Top with chopped cilantro, crema, finely chopped red onions, shredded cabbage or avocado slices. Chicken tinga needs slices onions. I recommend sauteing on a stove top thinly sliced half rings of onions while the chicken is cooking and then combining the onions with the shreded chicken and the sauce for a true chicken tinga. 1) I had whole chicken thighs so I removed skin but left bone-in. If using bone-in thighs like I did, I’d recommend increasing cooking time from 15 to 20 (maybe 25 mins) for effortless pulling. 2) I doubled the recipe and found that it scales very well. There was plenty of room in my 8 quart stovetop cooker. Resulting meat and gravy was a little too liquid-ey, though. So if doubling, consider omitting the chicken broth or at least using only the original broth measurement without ducking. 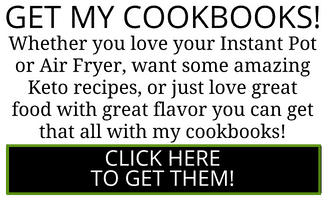 This makes sense because pressure cookers evaporate so little moisture to begin with and a larger recipe is not likely to evaporate more liquid in the same cooking time. Thank you for the detailed review and the tips for the others. Much appreciated by me and readers!